The freedom of traditional building methods meet the efficiency of prefab construction technology. 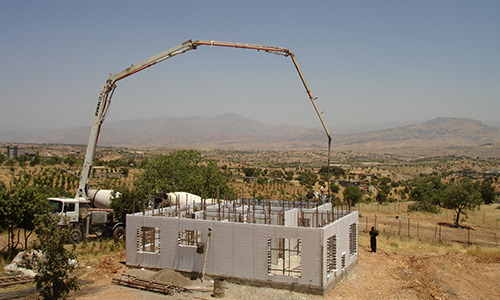 The basic structure of the SISMO building technology is a three dimensional module, the SISMO module. This module is made from a galvanised steel wire lattice. At the exterior sides infill panels are inserted. 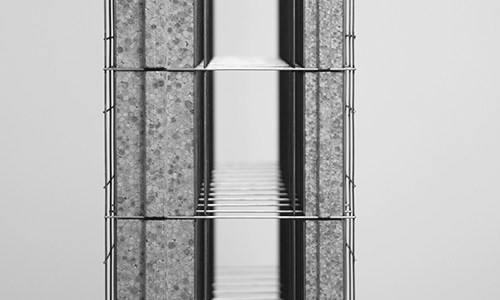 These panels transform the lattice into a closed structure, which is filled with structural material (concrete). 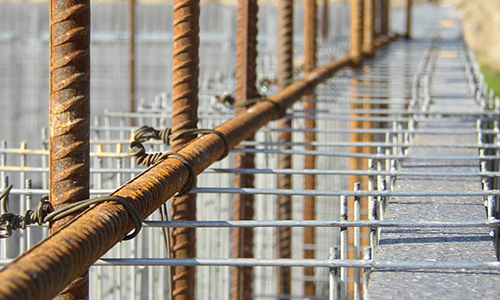 The steel wires also act as armature and anchoring for the finishing material. The SISMO module is universal and can be adapted to every project, from foundations and cellars up to roof structures. Its brilliant simplicity and the modest demands for materials and labour make the SISMO module the perfect solution for every building project. 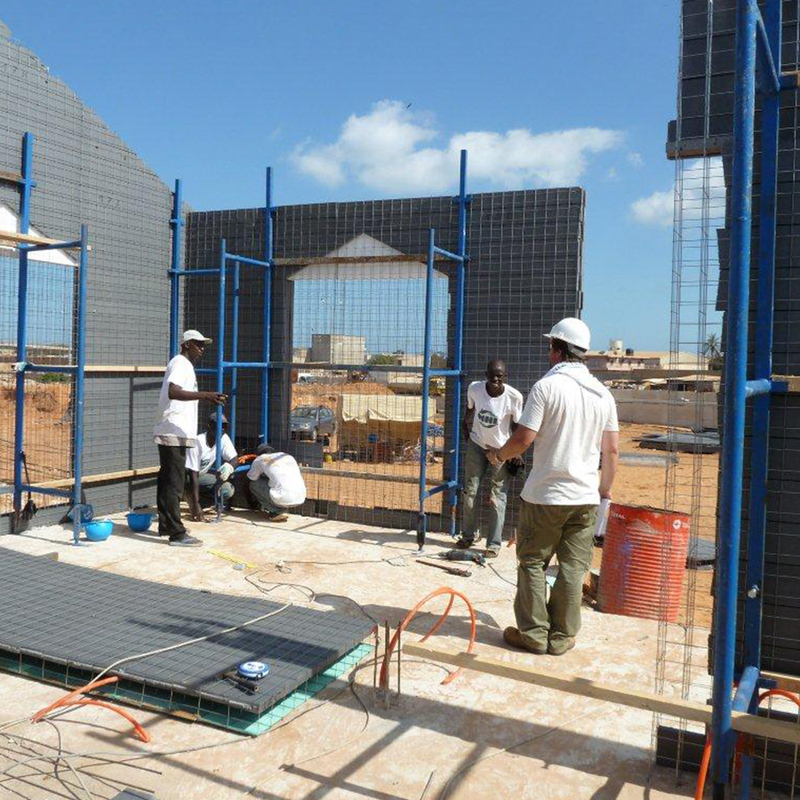 Our experiences, in different countries have shown that the time required to realise buildings using the SISMO building technology is significantly shorter compared to conventional building methods. The SISMO technology can be applied to every socio-economic environment. SISMO increases productivity in industrialised countries and creates a new advanced industrial base ensuring long-term economic value in developing countries. 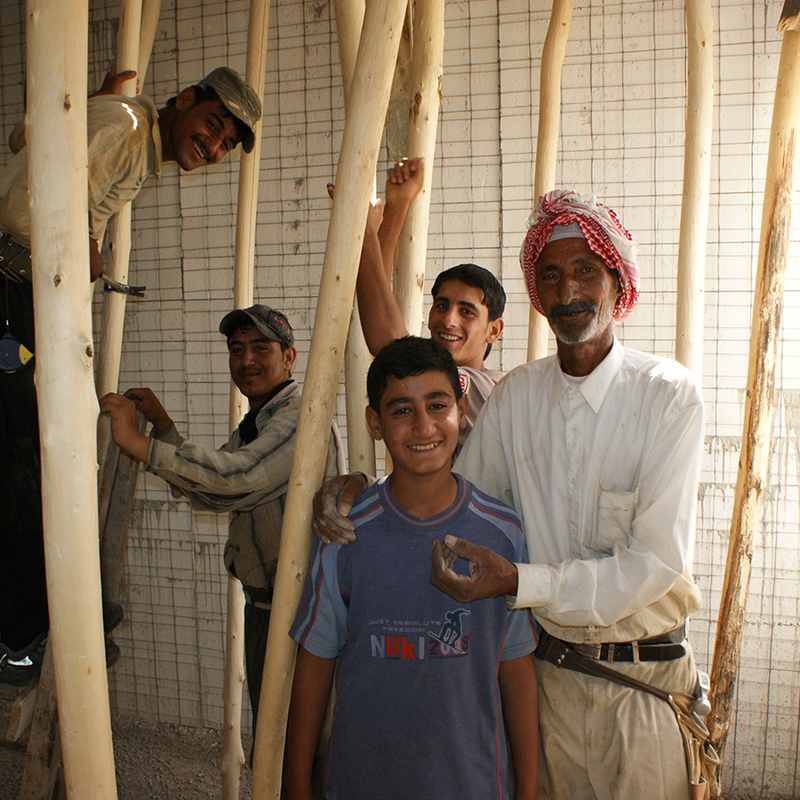 The SISMO concept offers unlimited possibilities for the optimal use of local skills, labour and raw materials. 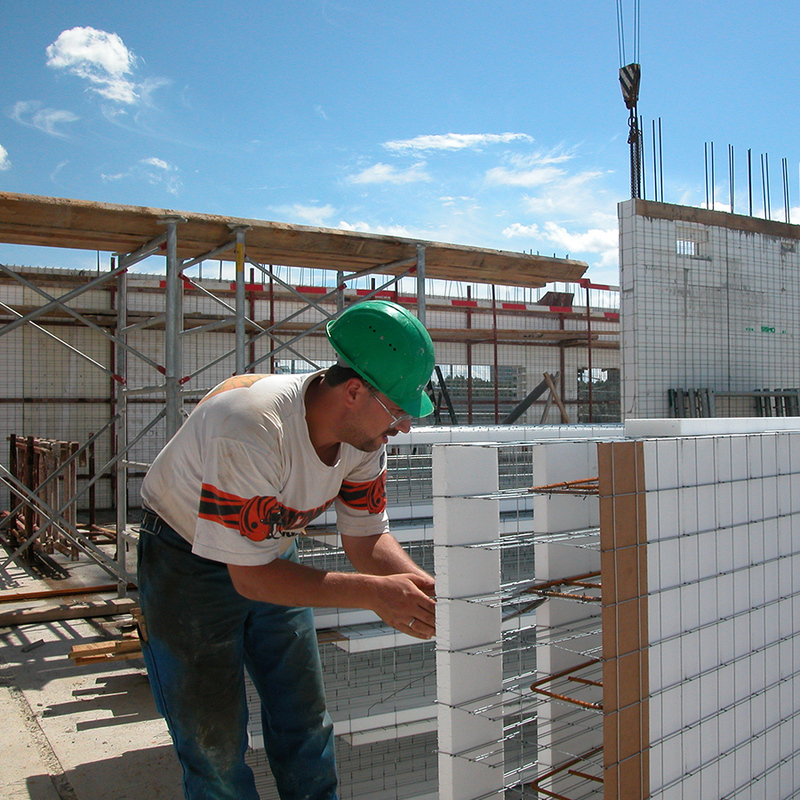 SISMO provides a competitive alternative to traditional building systems. By using ordinary building materials such as steel, insulation and concrete in an innovative way, SISMO achieves cost savings and efficiency at all levels of the constructions process. SISMO is not just a building material, the SISMO building technology is a researched methodology with a proven track record. The integrated sisCAD® software allows optimised planning for all types of projects. 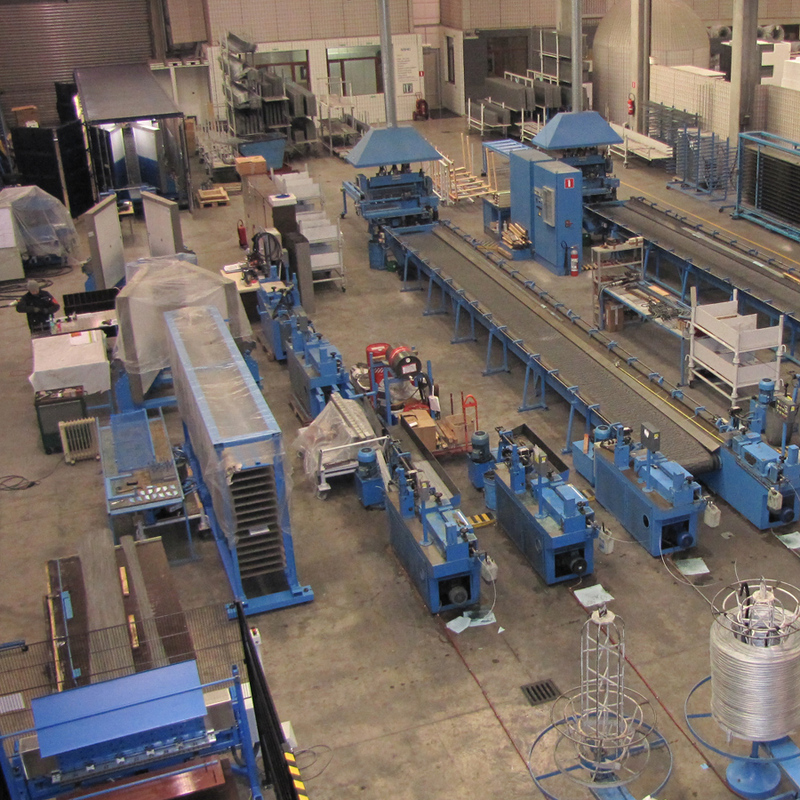 The SISMO building technology is unique and based upon years of experience and ongoing research and development. Established in Belgium, SISMO has been a leader in the implementation of rapid, affordable, durable and environmentally sound building technology. Today SISMO actively works together with partners around the world. SISMO has several options to start a local production station and is always ready to find a tailor-made solution that suits the market, the project requirements and the partners involved.